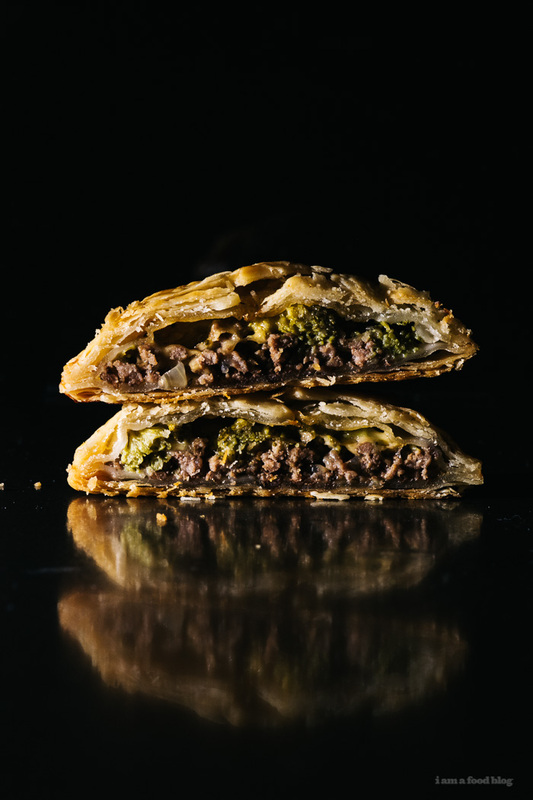 Celebrate 3.14 with these savory cheesy beef and broccoli hand pies! The other day, I broke the chain on our roller blinds. I was pulling it, to put the blinds up when it just completely snapped. It was the worst because it was the chain on our biggest window – the one that lets in the most light. And because I broke it on a Friday, we had to wait until Monday to call the blinds guy. Which meant that I practically went blind on the weekend due to the lack of light. Anyway, it was Thursday before dude rolled around and I had just put these pies in the oven when he got here. 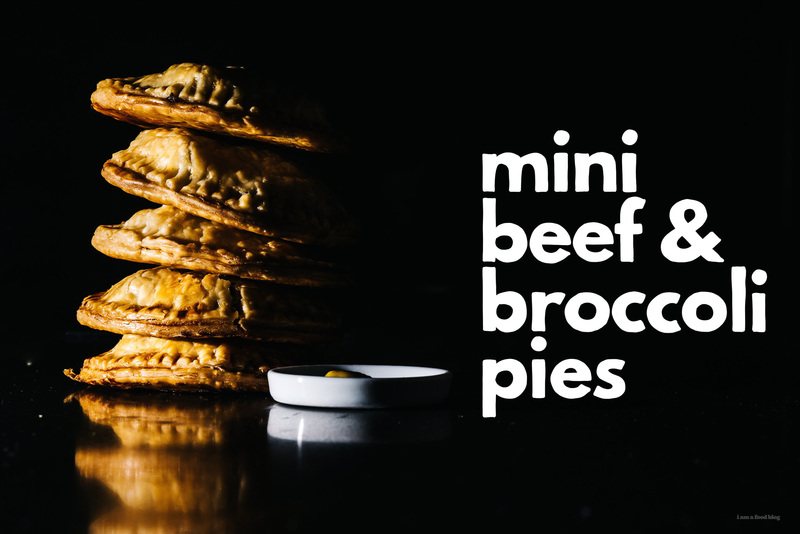 Our house was filled with the smell of beef-y, cheesy, pie goodness. I couldn’t really smell it, but then the guy mentioned that he was double booked and didn’t even have a chance to grab lunch. At this point it was 2 in the afternoon and I felt so bad for him. No lunch!? My idea of the worst work day ever. I wanted to offer him something to eat, but for once we didn’t have any leftovers in the fridge and I had just put the pies in the oven. So, I offered him a coke. LOL. Anyway, he fixed the blinds and there was LIGHT! 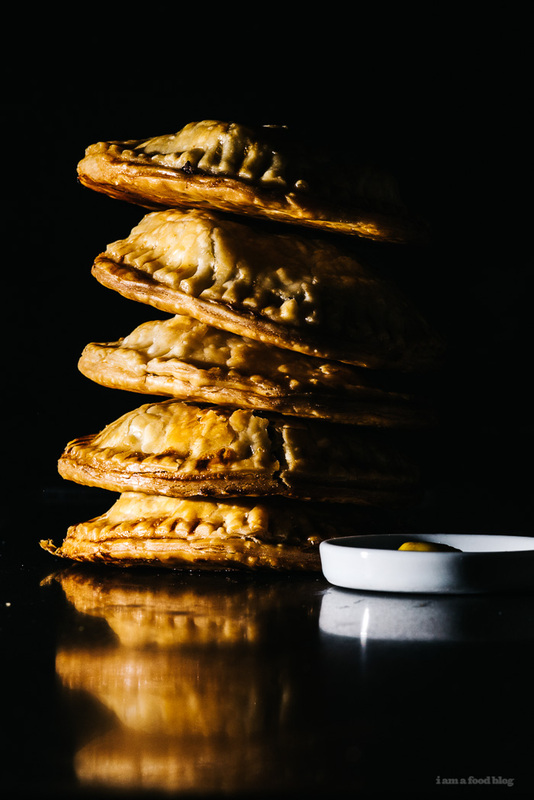 After he left, Mike took some photos of the pies and we ate them. 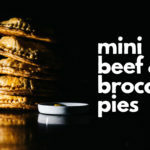 They were delicious: flaky pie crust, gooey cheese, savory beef and broccoli. I did them up for pi-day, which is today! I love pie even though I don’t make pie very often (read: never). But, when I do, they tend to be savory ones, just like this little guy. You can blanch the broccoli, as I did (I was hoping that it would keep it’s green color, even after baking) or you could just cook it into the beef mixture. That’s one less step, so I would go that route! 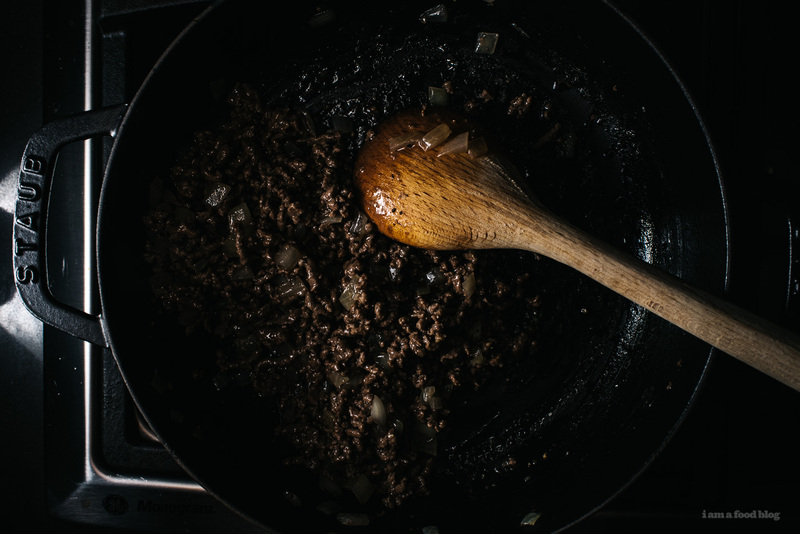 In a large pan, heat up a bit of oil over medium high heat. Cook the onions until just translucent, about 2-3 minutes. Add the beef and cook, breaking up. When browned, sprinkle on the flour and stir in. Add the beef broth or water, stir and cook until reduced. Add the Worcestershire sauce and broccoli. 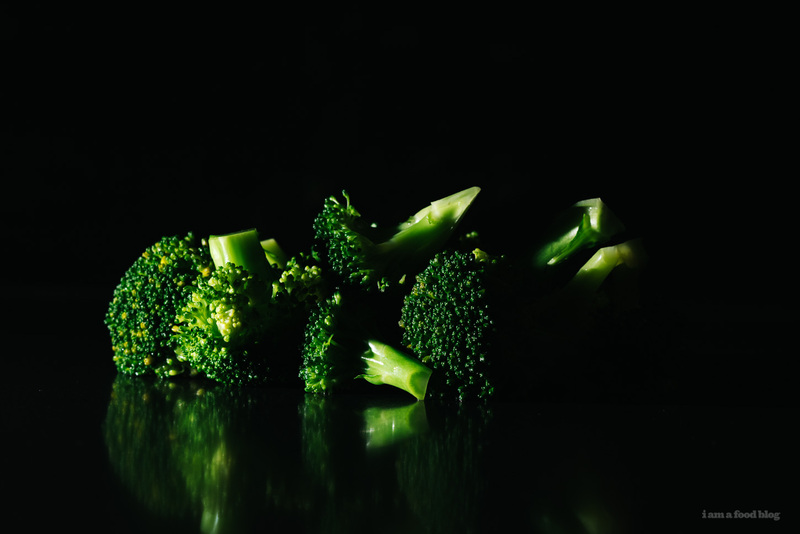 Cook until the broccoli is bright green. Season with salt and pepper and remove from the pan and let cool, completely. 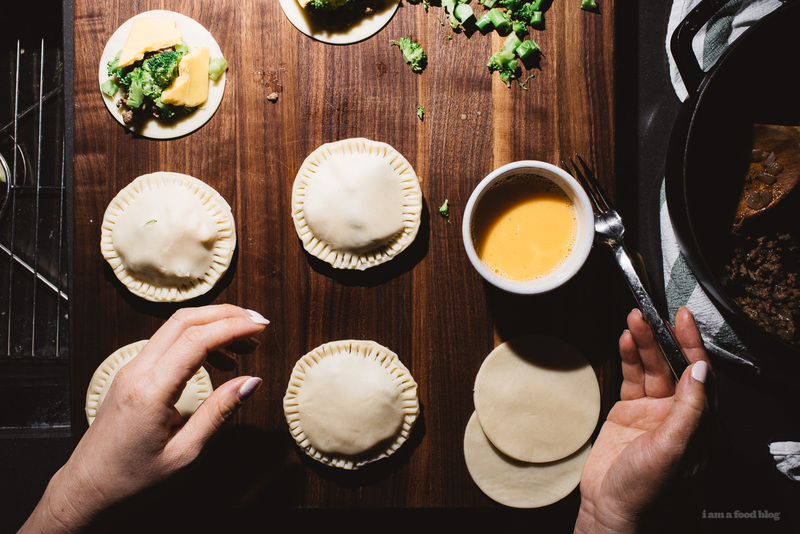 Cut out 4 inch rounds from the pie crust, as many as you can (you most likely will have leftover filling). 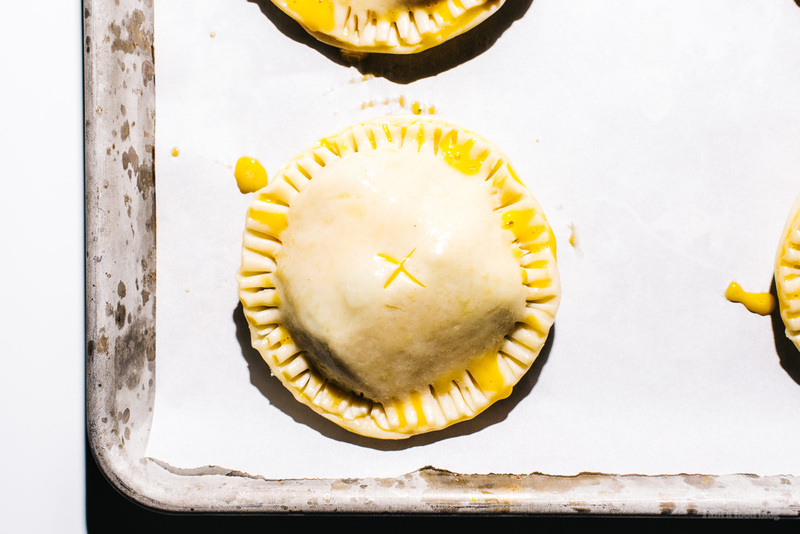 Brush the egg wash around the edge of the crust and place a heaping tablespoon of filling, topped with a slice of cheddar in the middle of the pie crust circle. Top with another round of pie crust and use a fork to crimp the edges. Repeat until all your pie crust rounds are used. Poke some holes or cut an X into each pie. Brush with the egg wash and bake for 20 minutes or until golden brown. Enjoy! I may make these today. 🤤 Looks soooo good. How do they hold up being reheated? Like, could I pack this for lunch at work? I hate when I can’t offer people anything to eat. I feel so bad:( But glad your blinds are back to functionality and that you have light!!! Yum! Looks great and love the photography! what pie crust did you use??? Oh my gosh. I literally broke a blind the exact same way this week. I have yet to do anything about it though. These would be a great Easter dinner appetizer. Can I make them ahead of time? Maybe the day before? Thank you! Are the pre made pie crusts frozen?